The Dark Tower, directed by Nikolaj Arcel is a missed opportunity for the next quality sci/fi fantasy continuing series. 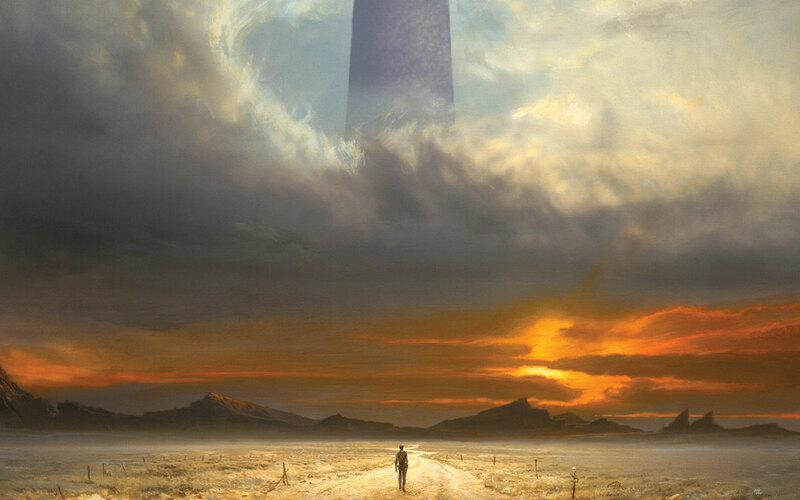 Originally a nine-novel sequence penned by Stephen King, it has the ingredients for a continuing saga revolving around protecting the titular dark tower that exists between realities and which stabilizes the varied realities within its domain. This being based on a potent and endlessly unfolding Stephen King narrative, which is to say that the original series of novels takes side trips and falls into distracting, if entertaining rabbit holes at many turns of the story, has the central element of this problematic phantasmagoria to be children, one child in particular, who has the power to create all things or cure the ailments that threaten everything that lives. Lots of characters, superpowers, magic, betrayal, good versus evil, a gifted child with abilities far beyond those of men and gods; King certainly provides quite a bit for multi-season streaming drama. The film, though, is brutally condensed, curt, and abrupt in transition both in scenery and idea. It would be kind to suggest that the movie is breathless in its pacing and one should be admiring the briskness in which a great deal of thematic material from Stephen King's writing they manage to wedge into the 90 minute time but do so, for me, would be dishonest. Where others think breathless I say gasping for breath, the singular tone being someone who wants this project done with much sooner rather than way later. For all the explanations that might be given for how slipshod the storytelling is, think of that one kid in high school, yourself perhaps, who tried to ad lib their way through an assigned oral report they hadn't prepared for. This is exactly what The Dark Tower feels like for its duration. Matters of a plot point, explanations of thematic conceptions, and revelations of what's been going on are passed off in hurry through cavalier bits of expository dialogue. The Man in Black, watching the Gunslinger wondrously dispatch minions with his weapons, reveals that legend has it his guns were forged from the same metal that made the mystical sword Excalibur. And that's it, which is annoying since that's an intriguing notion worth expanding on. The skillful expansion isn't the aim here, but rather contraction, and this feels more like a Quick Notes summary than anything else. I was never beyond the feeling that what I was watching was the usual prelude before a new episode of a television drama as to what's occurred earlier in the season in a quick montage. A shame, since the premise is attractive and Movies with Iris Alba and Matthew McConaughey should leave you breathless from their performance, not scratching your head wondering why they bothered with this.